Due to growing trends in the world around us, it is very common that people look for various types of dating partners depending upon their choices and desires. Usually, in the society, it is often tough and weird to go around looking for a dating partner without having people throw their opinions at you. Now, doing them same online can immensely reduce the fuss of it all. Such is the power of online dating. These days Tinder app is making maximum buzz when it comes to find a dream date online. Though you need to have smartphone to use Tinder. Online dating websites are shaping up with special focus on many specific groups of people, dedicating a complete website primarily for certain age groups, or a certain religion, or specific geographic locations, and etc. The probability of finding a match increases when people of similar dating interests come across those websites that you signed up for. On these dating websites, people meet one another only if they’re optimistic to a good extent about getting along together, unlike in the real world dating, where you get to learn the interests of one another only after approaching each other first. They find matches to users by comparing numerous aspects and preferences of each individual user. If you desire your match to be a college graduate, or a blond, but not of the same location as yours, then the matches are made only with those girls that satisfy those preferences in their profiles. This is just one aspect of many that take place in the online dating. I have complied a list of the most widely used dating websites on the internet and measure your luck in finding a dating partner. OKCupid is one of the highly populated free online dating websites, which means your chances of finding a partner also increase relatively with their member count. OKCupid provides various questions on your profile, to which you can answer with your own choice of thoughts. These answers will help the OKCupid to find you the best possible matches. In addition to this, there are various other features this website provides to its users. Kiss.com‘s (Ex – singlesnet.com) primary intention is to provide you with a quick way to sign up and let you start looking for matches. It keeps things simple. It asks users to provide basic information on their profile and answer a few questions related to their dating preferences, and they can then easily start to check out those profiles that show up in the matched searches. This is also a free to use dating website that offers its users a simple way to find people and further discuss their interests by interacting with them online. Zoosk is one of the best free websites for dating available on the internet. It provides great services to the users looking for casual dating services than to those on a look out for a serious relationship. The website asks for very less information alongside leaving you the choice to fill your additional details in your profile. “Your Perfect Match” section gives you the chance to mention the qualities that you’re firmly looking for in a dating partner. This is basically a free service but also has premium features to which user can subscribe. Zoosk also has special social networking and dating apps for smart devices, making it easier and more comfortable to stay in touch with your date, wherever you go. Match.com, as its name says, brings up your best matches depending upon the extensive information you provide in your profile. You should provide detailed preferences about what kind of partner you’re looking for, such as age, appearance, education and etc. 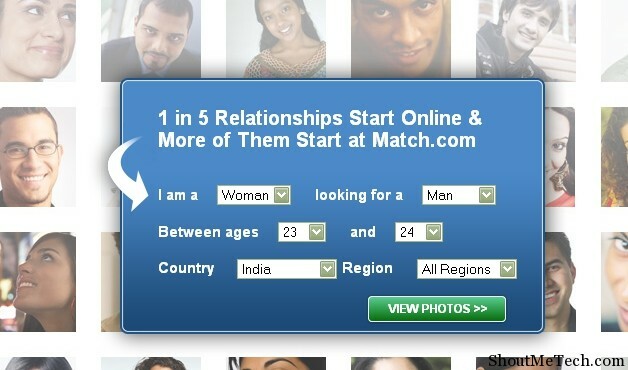 This is one of the well known websites to find matches in the simplest ways possible. It sends its users matches on daily basis, thus increasing their chances to get landed with good partners. 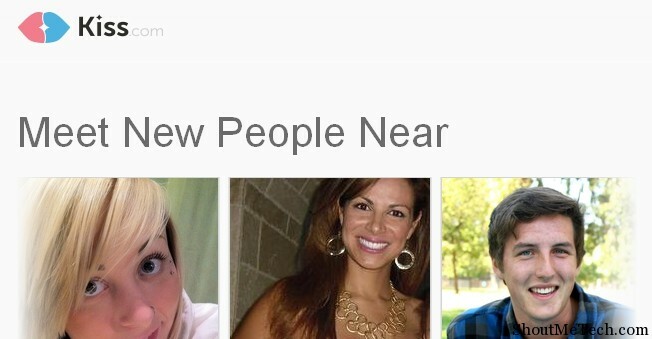 Spark.com is a primary hangout spot for those who opt for serious relationships. But don’t get the wrong message, this website also offers very good services for other users who are interested only in casual dating or friendships. Spark.com shelters users of varied range, not focusing on any certain type of people, which is good news for you, as a user, because it provides you a great opportunity in getting to know about people with diversified backgrounds. 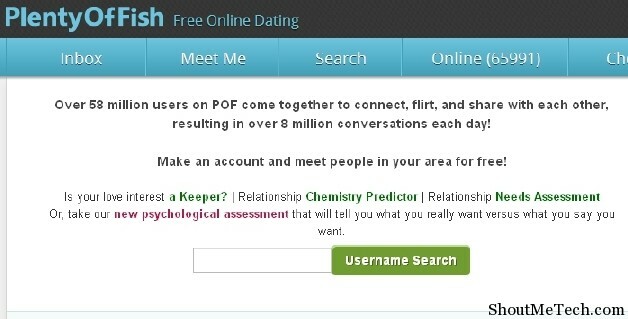 Plenty of Fish is a lake for free online dating with plenty of fish in it. It carries diversified member base that originate from numerous cultural backgrounds, regions, religions, languages, and interests, which further hikes the chances of getting good number of matches that suffice your preferences very accurately. This is a combined arena in which both serious daters and causal daters can have equal and best chances to get their preferred matches. Also meet me is another popular dating site which you can use. They also have smartphone app which makes it easier for you to access and use it. Internet has simplified almost all the things in life including dating and finding friends online, and continues to redefine the ways we live our lives along with technology. The dating websites mentioned above and many others out there are just one tiny example to explain how well the internet has become a part of our daily lives. KrishnaKanth has written 1 articles.